The new video 10 Reasons to Mediate introduces businesses to the Equal Employment Opportunity Commission's (EEOC) National Mediation Program. Mediation is usually a preferable alternative to a traditional EEOC investigation and to enforcement and litigation steps that may follow. Mediation allows the parties involved in a charge of discrimination to resolve their differences quickly and amicably without a determination by the EEOC on the merits of the case. Hear from other employers who already have participated in the EEOC's voluntary National Mediation Program and believe that you should, too, if a charge is filed against your company. We encourage you to watch this trailer for a preview of the video . . . and to order a free copy of the full presentation. We hope that you will share it with colleagues in your community and contact us with any questions you may have. For a free copy of the " 10 Reasons to Mediate " video, available on compact disc, please send an e-mail request to MediationCD@eeoc.gov or call (202) 663-4823. The video runs 14 minutes and is open captioned. What are the 10 Reasons? EEOC's National Mediation Program is available at no cost to the parties. Mediation is fair and neutral. Parties have an equal say in the process and they, not the mediator, decide the terms of the settlement. There is no determination of guilt or innocence in the process. All parties sign a confidentiality agreement. Information disclosed during mediation will not be revealed to anyone, including EEOC investigative or legal staff. Mediation costs less than a lawsuit and avoids the uncertainty of a judicial outcome. Mediation fosters a problem-solving approach to complaints and workplace disruptions are reduced. With an investigation, even if the charge is dismissed by EEOC, underlying problems may remain, affecting others in the workforce. Mediation provides a neutral and confidential setting in which the parties can openly discuss their views on the underlying dispute. Enhanced communication can lead to mutually satisfactory resolutions. Mediation helps to discover the real issues in your workplace. Parties share information, which can lead to a better understanding of issues affecting the workplace. Mediation allows you to design your own solution. A neutral third party assists the parties in reaching a voluntary, mutually beneficial resolution. Mediation can resolve all issues important to the parties, not just the underlying legal dispute. An independent survey showed 96% of all respondents and 91% of all charging parties who used mediation would use it again. 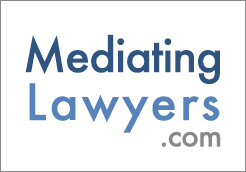 "Mediate.com is the single best connecting point for mediators globally. It is one of the few (if not the only) groups I've researched whose doors are wide open and actively promoting the field of mediation with respect and support for mediators from every specialty, region and approach."